Ace Auto Glass & Windshield repair is safe, effective, convenient and takes less than 30 minutes to complete. Our certified repair specialists can repair chips, nicks and cracks up to 6 inches long. A quality windshield repair will restore the structural integrity of the windshield, help prevent the damage from spreading, and make the blemish much less noticeable, without removing and replacing the glass. Note: Ace Auto Glass & Repair is designed to stop your windshield from cracking. Although you will see dramatic improvment cosmetically, a small and slight imperfection at the point of impact may still be visible. 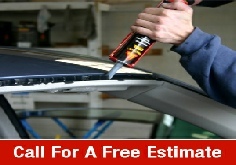 Windshield replacement is what we do best. After years of replacing windshields, we have come to master this process more than anyone else in our profession. We understand you want quality parts, a professional installation, and at a low cost. We are proud to offer you just that. Choosing Ace Auto Glass means access to a vast inventory of both O.E.M and After market parts provides you with more options.